Last Friday, we reported on the termination of Toy Freaks, a channel with more than 8.5 million subscribers that had been under fire for posting gross-out content aimed at children. At the time, we noted that Toy Freaks was one of several channels targeted by YouTube, which is looking to clean up its family-friendly community after receive a large amount of backlash from the internet at large. A few days later, we’re getting a better picture of the widespread nature of YouTube’s purge. The platform’s recent wave of terminations seems to have hit dozens of channels, and the videos that have been deleted have collectively received billions of views. It is hard to suss out the exact number of views that have been excised from YouTube over the past few days, but some of the channels that have been targeted possessed staggering traffic numbers. Toy Freaks, according to The Guardian, was the 68th most popular destination on the site. It was also just one of just three channels operated by and starring Greg Chism, which together had amassed over 8 billion views as of May 2017. 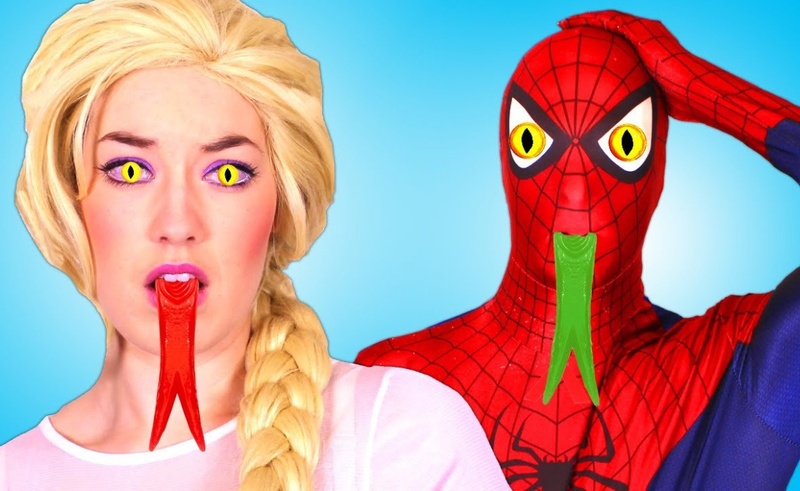 Webs and Tiaras, one of the most controversial channels within the Spiderman and Elsa subgenre, counted more than 3.7 billion views late last year. It too appears to now have been terminated. Many other channels are still active, but their archives have been gutted. Toy Monster, which features many clips involving action figures, once had 1.3 billion views. Now, it has 86 million, owing to the deletion of several videos it hosted. It would not be ridiculous to suggest that the videos expunged during YouTube’s purge collectively brought in more than twenty or thirty billion views altogether. The culling is viewed by many online video viewers as a long time coming. Tubefilter first covered the bizarre children’s video trend back in February, but the uproar around the phenomenon didn’t come to a head until a recent Medium blog post made the rounds. James Bridle’s take on the manner in which creators exploit the YouTube algorithm to amass enormous audiences to the potential detriment of our future generations gained a lot of traction. It also excited the Reddit forum /r/ElsaGate (the title refers to the Frozen character, who appears in inappropriate situations in many YouTube videos), which has emerged as a hive of discussion for concerned consumers. Many of them have surmised bots are responsible for many of the gaudy numbers that can be found in the world of children’s content on YouTube, even though that theory has been largely debunked. Perhaps its just more pleasant to think the billions of views on arguable disturbing programming for kids came from click farms or robots rather than the kids themselves. YouTube, in a statement shared on Friday, said that it would delete content liberally in order to err on the safer side of this issue. “It’s not always clear that the uploader of the content intends to break our rules, but we may still remove their videos to help protect viewers, uploaders and children,” reads the statement. Even with such decisive action, some inappropriate videos are proving hard to kill. Days after Toy Freaks was terminated, its videos can still be found on other channels. Even after chopping down billions of views, YouTube’s work is not done.